Earthlink offers IT services and internet connectivity to consumers and businesses. Consumer services include broadband internet over DSL, cable or satellite, as well as VoIP phone service, dial-up internet and web hosting. In a bid to bolster its business services, Earthlink previously acquired Deltacom, One Communications, STS Telecom, New Edge Networks. 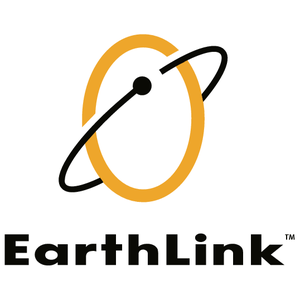 Earthlink previously acquired PeoplePC (2002) and MindSpring (2000). Earthlink Webmail and email itself is down! My email is receives, but doesn't send, emails. I received over 8,000 returned undeliverable emails from some scam. Now I am not receiving any mail at all. Unable to send myself an email, sits in outgoing while alerts keep popping up saying unable to send etc. I changed my email password in the morning before having to delete all the emails. earthlink has been down all morning and now 2 hours into the afternoon. not only not working, but earthlink won't even answer phone - it terminates calls. No updates. Nothing. Really piss poor way to handle customer service. No internet access in north Texas. No thanks, I don’t want to know when Earthlink is down.